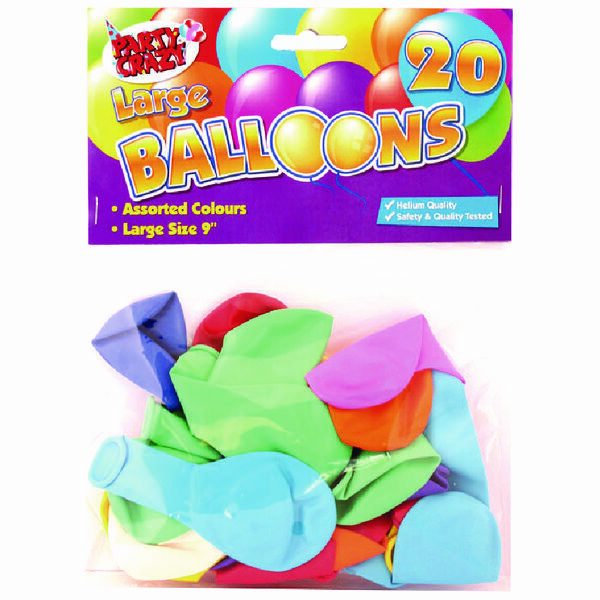 Create an instantly festive feel with this pack of 20 multi-coloured balloons made from high quality rubber. Blowing up to about 9 inches in size, they are a great way to add a splash of colour. Just the ticket for birthdays, retirement and leaving dos - they are also great to decorate a stall or give away as a treat at Trade Shows. After all, who doesnt smile when presented with a colourful balloon!